From http://now.netapp.com/NOW/cgi-bin/simulator using your NetApp NOW login. The C-mode download currently comes packed as a TGZ file – vsim-DOT812-cm.tgz – use 7-zip (www.7-zip.org) or similar to unpack to vsim-DOT812-cm.tar and then unpack again to get to reveal the vmx and vmdk files. Rename the imported machine as desired and edit the Virtual Machine Settings to disconnect Serial Ports and place Network Adapters on preferred networks (you might also want to increase the memory from the default 1.6 GB). Wait for the wipeconfig request to complete. Welcome to the cluster setup wizard. Any changes you made before quitting will be saved. You can return to cluster setup at any time by typing “cluster setup”. To accept a default or omit a question, do not enter a value. Cluster sim has been created. Here we can enter the SIM license keys as below (with base already having been entered). Each license code has a Node Count of 2. A cluster management interface on port e0c with IP address 10.0.0.50 has be created. You can use this address to connect to and manage the cluster. DNS lookup for the admin Vserver will use the ace.priv domain. 1) Join additional nodes to the cluster by running "cluster setup" on those nodes. 2) If in a HA configuration, verify that storage failover is enabled by running the "storage failover show" command. 3) Create a Vserver by running the "vserver setup" command. 1) Using the NetApp System Manager to manage cluster sim at 10.0.0.50. NetApp System Manager must be at version 2.0 or above. Exiting the cluster setup wizard. Thanks for this blog, very helpfull. I try to install SIM to build a metro cluster plus sync mirror (7 mode). It seems impossible as long as CFO/SFO are not supported in SIM 8x. But I was wondering how to set up a simple HA plus sync mirror ? I tried a 7.3.6 SIM version but sync_mirror can't be licensed. Does it make sense (and is it possible) to create a SIM with 2 heads in Cluster Mode adding the sync mirror feature in order to play with aggregates, P0 and P1 ? Alas, the (otherwise excellent) 8.+ SIM does not allow HA. You can use syncmirror in the 7-Mode SIM no problem, just local to one node though. Regards Cluster Mode, there's no syncmirror. 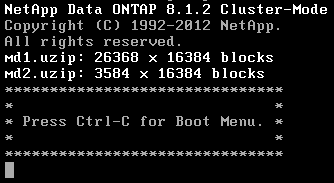 MetroCluster functionality is targeted for Clustered ONTAP 8.3.